J.H. Wagner & Sons stocks an extensive colour palette of natural granite with a choice of finishes including polished, exfoliated or flamed, sawn, sandblasted, honed, split, rockfaced, axed and bright etched. 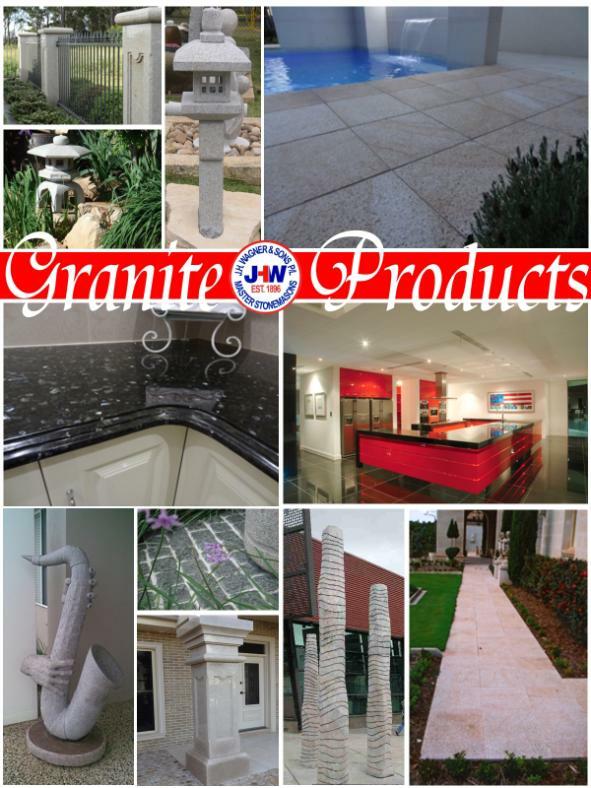 Add to the JHW granite colour range a product list from A to Z and a supply network to source granite world wide we can provide the professionalism of supply needed for a project of any size. Whether we are supplying cut slab only or the most detailed of granite products our Toowoomba factory is fully equipped for all processing requirements.